Wind and solar ‘powered’ South Australians know what it is to do without power for days on end. Having experienced plenty of load shedding lasting for 5 hours or more, South Australians got a real taste of the dark ages in September 2016, when the whole State went black. A sudden collapse in wind power output during a vigourous spring storm (wind turbines automatically shut down in high winds) delivered what’s known as a ‘system black’. 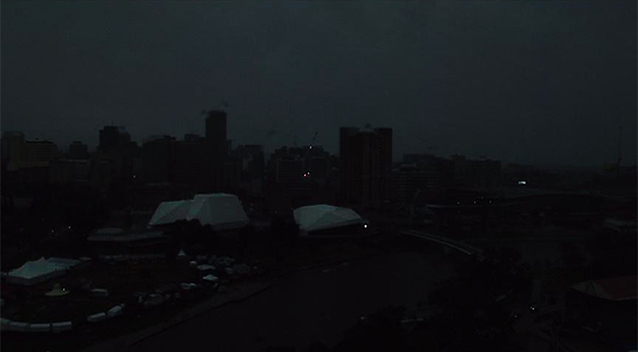 Some parts of the city of Adelaide had power restored within about 5 or 6 hours, while some suburbs were without power for 24 hours or more. Regional centres like, Port Lincoln, Whyalla and Ceduna were without power for days and more remote towns and rural properties were powerless for more than a week, some for close to a fortnight. BHP Billiton’s Olympic Dam gold, copper and uranium mine (the backbone of SA’s struggling economy) was starved of electricity for more than a fortnight: September 28 to October 13. When the lights go out for an hour or so, while everyone’s safely tucked up at home, the experience can be fun, if not even a little romantic. Candles come out, along with cards and boardgames; who doesn’t enjoy squabbling over the unwritten ‘rules’ of Monopoly? Some even relish the fact that their mobile phones have gone dead and the mobile network is down. For a while, anyway. But, when the experience becomes part of daily life and/or the periods without power start to interfere with people’s work, health and safety, the gloss soon wears off. The loss of mobile phone services in emergency situations, exacerbates them, placing more lives at unnecessary, mortal risk. The loss of street lighting and traffic lights turns the evening commute into a game of life and death. But these are just the most obvious consequences of losing a power supply across a city, state or country. The Germans have been dealing with the chaos delivered by intermittent wind and solar for a decade now, so it’s no surprise that they’ve already taken a close look at what happens when the power goes out. Australians (apart from those living in South Australia) might think the possibilities of what’s set out below ever occurring to them are pretty remote. Think again. New South Wales has already had three near misses, so far this year. And, with serious reserve capacity shortfalls, when the demand for power increases this coming summer, New South Wales and Victoria will suffer the same kind of load shedding and blackouts that have become routine in SA. Don’t say we didn’t warn you. Now, here’s your blueprint for a blackout. We suggest you print it out and keep it next to the torches and candles, ready for your next return to the Dark Ages. Modern, high-technology societies based on the division of labour have an advanced, highly complex network of critical infrastructures that supply the population with vital/essential goods and services. These critical infrastructures include information technology and telecommunications, transport and traffic, energy supply and health care system. The internal complexity of and high levels of interdependence between these infrastructures make them extremely vulnerable. In the past decade in particular, terrorist attacks, natural disasters and extremely grave accidents have demonstrated the far-reaching consequences that damage to or failure of critical infrastructures can inflict on our social system as a whole. With electrically operated devices now virtually omnipresent in our living environment and our world of work, the consequences of a prolonged and widespread power blackout would combine to produce an extremely serious damage situation. All critical infrastructures would be affected and it would be almost impossible to prevent a collapse of society as a whole. Yet despite this potential for threat and disaster, society exhibits limited awareness of the risks involved. Following a decision by the Committee on Education, Research and Technology Assessment, the Office of Technology Assessment at the German Bundestag (TAB) was commissioned to undertake a systematic analysis of the consequences of a prolonged and widespread power blackout. The study was also to examine the capabilities and limits of the national disaster management system for dealing with such a major damage situation. Germany’s sophisticated disaster management system is characterised by a process of task-sharing between the Federation and the federal states (Länder) that is anchored in the Basic Law. The two-way carve-up of civil protection in a state of defence (Federation) and peacetime disaster control (Länder) creates a policy area with several echelons and a plethora of authorities (Federation, Länder, counties, aid organisations and support forces. Responsibilities and measures are defined in numerous laws and ordinances. The Civil Protection and Disaster Assistance Act of the Federation represents an important basis for disaster management at operational level. The revised version of 29 July 2009 aimed to achieve greater integration between the capacities of the Federation and those of the Länder. The Federation augments the disaster control structures of the Länder in numerous areas. At the same time, the facilities and forces of the Länder can also be used to avert defence-related threats. Several acts based on the principles of safeguarding and of precautionary measures offer extensive options for controlling scarce structures, goods and services (e.g. in the fields of nutrition, transport, post and telecommunications). The laws of the federal states on emergency assistance and disaster control are also especially significant. In particular, they regulate the organisation and the tasks of the disaster control authorities and specify the measures to be taken in responding to disasters. Since, according to estimates, 80% of critical infrastructures are in private ownership, these laws aim to achieve a security partnership between the state and business enterprises. On the question of disaster management, the inclusion of Germany in the Community Mechanism to facilitate reinforced cooperation in civil protection assistance interventions, which was established in 2002, is also of relevance in the context of the European Union (EU). Germany has also concluded a number of bilateral agreements on disaster assistance. When a power blackout occurs, local authorities, institutions and organisations are initially responsible for dealing with the consequences. Depending on the situation (interregional) and the way in which the blackout develops (prolonged with significant consequences), the next-highest levels are then successively mobilised up to the level of the Federal Ministries. Responsibility thus lies with the higher disaster control authorities, which commissions the (local) subordinate disaster control authorities with (operational) implementation of the required measures. To reconcile this heterogeneous combination of players and their different management and communications structures, it is necessary to convene crisis units at all levels (parish, federal state, Federation) if a prolonged power blackout strikes and extends across regions. Interregional coordination is necessary to ensure coordination of the different activities by the aid organisations (e.g. German Red Cross, Maltese Cross Relief Service, fire services) and support forces (Federal Agency for Technical Relief, Federal Police and Federal Armed Forces). Presumably, the Federation would also need to become involved and assume at least a coordinating role. In this context, various supportive systems and processes for obtaining, processing and disseminating information are available – such as the Internet-based German Emergency Planning Information System (deNIS), which serves to inform the public (deNIS I) as well as ensure direct (information) management of major disasters (deNIS II plus). In addition, the SatWaS satellite-based warning system enables the national dissemination of alerts to all situation centres, civil protection liaison offices, broadcasting corporations and other media. The main task of the German Joint Information and Situation Centre (GMLZ) is to ascertain a uniform assessment of the situation. Causes of prolonged, interregional power blackouts include technical failure and human error, criminal or terrorist acts, epidemics, pandemics or extreme weather events. Many people expect the likelihood of power blackouts to increase in future, not least because of an increased risk of terrorist attacks and climate-related extreme weather events as causes of a network collapse. Experiences of previous national and international power blackouts indicate that major damage can be expected. Although previous power blackouts have lasted for a few days at most, some have caused estimated costs amounting to several billion US dollars. A power blackout lasting several weeks is likely to cause far higher damage. The various critical infrastructure sectors rely heavily on a continuous supply of electricity. The consequences of a power blackout extending across several Länder and lasting for at least 2 weeks would be tantamount to a disaster. This situation is described in further detail below. 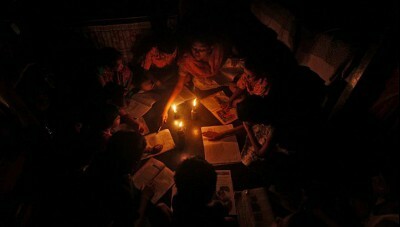 A widespread, prolonged power blackout would have dramatic consequences for information technology and telecommunications. Some telecommunications and data services would fail immediately, or at the latest after a few days. Within the complex topology of information and telecommunications networks there are different levels of dependence on an external power supply: with a fixed network telephone system the (digital) end devices and subscriber terminals fail immediately, followed by the local switching exchanges. With mobile networks, end devices that are charged and can function for a few days under moderate usage would be less affected compared with the base stations that allow users to dial into the network. Due to the increased volume of calls, these are mostly overloaded within a few minutes or fail because the emergency power supply only functions for a short period. Mass media are especially important for communicating with the population during a crisis. Some newspaper publishing companies and printing houses have emergency power supply capacities, allowing them to play a certain role in informing the population. Public-law broadcasting corporations are better prepared for power blackouts and are able to continue transmissions. However, if they have no electricity, citizens are unable to receive broadcasts via their televisions. Consequently, radio – which can be received via the millions of battery-operated devices owned by the public – represents one of the most important channels for informing the population in the event of a crisis. With regard to communication by authorities, the current status of information does not permit an assessment that applies equally to all players and networks. For example, the communications networks of the Federation, i.e. the Berlin-Bonn Information Network (IVBB) or the Information Network of the Federal Administration (IVBV), can generally continue operations for 2 to 3 days with the aid of emergency power generators. However, this is not sufficient to allow communications to function on a broad scale. It can be assumed that the mobile radio technologies powered by emergency power supplies and also the grid-bound means of communication that can be used by the Federal Armed Forces, the Federal Agency for Technical Relief (THW) or telecommunications companies in the event of an incident are primarily intended to serve these organisations’ own requirements; they are not designed to ensure communication by authorities, the general public and businesses over a large area. Even in the first few days, it emerges that if a prolonged, widespread power blackout strikes, the minimum level of telecommunications services planned and required by law to cover the event of a disaster cannot be provided by telecommunications suppliers. The reserve capacities such as uninterruptible power supply (UPS) and emergency power generators that are maintained for key communications systems are either exhausted after a few hours or days or prove ineffective because end devices have failed. Within a very short time, therefore, the population is deprived of the ability to communicate actively and in dialogue form by telephone and the Internet. The number of electrically powered network routers, switching exchanges and radio antennae for fixed-network and mobile telephony and also the Internet makes it almost impossible to ensure their wide-scale reconnection because thousands of battery storage units need to be charged and fuel tanks replenished. At most, it may be possible to partially reactivate individual infrastructure elements towards the edges of the area affected by the power blackout. Moreover, the failure of communications infrastructures also affects the authorities and task forces, who use the remaining/partially restored communications capabilities on a priority basis. It would appear that from an economic and technical point of view, it is not currently possible to ensure sustained safeguarding of communications networks to enable a stable, extensive portfolio of services to be maintained for customers. As far as can be determined, concepts offering at least a defined minimum level of service in the event of a prolonged power blackout have not yet been developed. The above assessment of the vulnerability and coping capacities of the information technology and telecommunications sector in the event of a prolonged, widespread power blackout harbours numerous uncertainties. There is therefore a clear need for further information and research. In principle, such research should include estimating the minimum level of communications for the scenario presented in this report; this would then make it possible to determine the underlying technical conditions required for various levels of supply. Corresponding sub-areas to investigate could include an estimate of customary communications and data flows and also an assessment of existing redundancies and of network segments and nodes of critical importance for operations. In addition, existing concepts for emergency power supplies in the field of information technology and communications could be reviewed and new, improved approaches developed. In this context, it would be necessary to establish an overview of emergency power supplies for the various communications networks and services. The same applies for the capacities and possible uses of telecommunications emergency power systems that can be used on a mobile basis and that have to be supplied with emergency power. This would make it possible to specify the technical requirements for a crisis communications network that is, for example, reduced to major cities and central nodal points. Research should also examine possible adjustments to the contingency measures prescribed by law. Corresponding legal/scientific analyses should aim to identify means for increasing the resilience of the information technology and telecommunications sector in the event of a power blackout. Finally, it is important to mention forward-looking analyses of the framework conditions for the sector. These should consider technological innovations (electro-mobility, intelligent networks) and also political (liberalisation, privatisation and deregulation), economic (diversity of competing suppliers, rapid product change) or socio-cultural changes (such as changes in forms of communication and media usage among the population). There is a need to investigate whether research and development processes could be encouraged in order to develop IT and telecommunications applications that are less heavily dependent on the power supply network. In the transport and traffic sector, electrically driven elements of the transport modes road, rail, air and water either fail immediately or after a few hours. This applies both to means of transport and also to infrastructures, as well as to the management and organisation of the respective transport modes. Important factors include the abrupt shut-down of rail transport and logjams of individual motor traffic and local public transport in densely populated areas. While port operations largely come to a standstill, airports prove relatively robust and resilient. Immediately after a power blackout, road traffic becomes chaotic, especially in major cities. Junctions and also numerous tunnels and barrier systems are blocked and long traffic jams start to form. There are numerous accidents, some of which result in injuries and fatalities. Emergency medical services and task forces encounter major difficulties in carrying out their duties (e.g. caring for and transporting injured persons or fighting fires). Since most petrol stations are out of action, numerous vehicles become stranded and individual motor traffic falls sharply after the first 24 hours. Due to the shortage of fuel, local public transport can at most be maintained at a rudimentary level. Traffic on motorways is less affected throughout the entire duration of the power blackout. The power blackout brings electrically-powered rail transport to an abrupt standstill. Large numbers of people are trapped in underground trains and in railway carriages. The functions of control centres, signal boxes and safety technologies are drastically restricted. The curtailing of rail transport dramatically curbs the population’s mobility. With air transport, ground operations at major airports are ensured throughout the power blackout thanks to emergency power systems and fuel supplies. Aircraft can therefore still take off and land to a limited degree. The far-reaching consequences of the power blackout for shipping are particularly evident in ports. Here, the power blackout interrupts the loading and unloading of ships because, for example, the conveyor belts or electrically operated cranes no longer work. All processes falter, all port operations come to a standstill and goods pile up. Whereas the loss of inland ports has a mainly regional effect, the loss of sea ports as centres for the transhipment of national and international goods is felt throughout Germany and even across Europe. The consequences of a power blackout set in abruptly and on a massive scale. Numerous accidents, stranded trains and underground trains, diverted flights, lorry jams and stockpiles of goods in ports result in major restrictions in mobility and goods transport. In major cities and conurbations in particular, traffic jams and accidents produce chaotic situations on the roads. Fire-fighting, emergency medical services and patient transport operations, interventions to ensure emergency power supplies and a number of additional measures to manage the general damage situation are significantly hampered. Since all petrol stations are out of action, fuel for emergency vehicles becomes scarce. Moreover, there is a threat of major bottlenecks in supplying the population with, for example, food or medical requisites. The authorities and aid organisations are thus faced with complex challenges. At local level it is, for example, necessary to ensure an adequate supply of fuel for task forces and for the emergency generators of particularly sensitive critical infrastructure components (such as emergency control centres, water works, and hospitals). In addition, it is necessary to clear, block off and impose traffic bans for important stretches of road and rail transport to ensure they are made and kept clear for the emergency task forces. Finally, it is necessary to establish (interregional) transport axes and to make transport capacities available in order to ensure the supply of essential goods, especially by rail. During the power blackout, the relevant authorities must consult with logistics companies and the rail operators to decide which routes should be kept open and which measures should be implemented to ensure emergency operation. In the sub-sector of air transport, current arrivals and departures can in some cases still be processed thanks to an extensive emergency power supply. However, German air traffic control will soon reduce or prohibit aircraft movements, forcing airlines to divert flights to areas not affected by the power blackout. At airports, ground operations must still be maintained, site security must be ensured and passengers who are still at the airport must be looked after. It is also necessary to examine to what extent supply flights are possible (where applicable as visual flights) for the population concerned. Water is a non-substitutable foodstuff and guarantees minimum standards of hygiene; as such, it is an indispensable resource for meeting basic human needs. However, water is also of major importance for trade, the retail sector, industry and public institutions. After just a very short time without electricity, water infrastructure systems can no longer be operated. The consequences of a failure in the water supply would be catastrophic, especially as regards supplying the population with drinking water. In the field of water supply, electrical energy is required for the transport, treatment and distribution of water. Electrically operated pumps are especially critical for guaranteeing the respective functions. If these pumps fail, it becomes impossible to pump ground water and obtaining water from surface waters is, at the very least, heavily impaired. In addition, treatment plants and the distribution system can only be fed by natural gradients, meaning considerably less water can be made available and high-lying areas can’t be supplied with any water at all. The reduced water supply also affects wastewater disposal: For example, the volume of foul water falls, and the composition of foul water changes. There is therefore a risk that the highly concentrated wastewater will form deposits in the sewerage system and lead to blockages and smells. Since wastewater lift pumps often have no emergency electricity back-up, wastewater may escape from the pipes. Sewage plants are generally equipped with emergency power supply capacities which allow full-load operation. If the emergency power supply fails, wastewater volumes have to be stopped before they enter the sewage plant and must be fed into the surface water. This inflicts direct damage on the environment. An interruption to the water supply has a major impact on domestic life: It becomes impossible to maintain normal personal hygiene and most households have no hot water. The ability to prepare food and drinks is limited and toilets can’t be flushed. The longer the blackout lasts, the more pronounced the problems are likely to become. People soon run out of clean clothes and the hygiene situation becomes precarious. Toilets become blocked. There is a growing risk of disease spreading. Another indirect consequence of a power blackout is a growing risk of fires in industry as a result of the failure of cooling systems and process control systems or in households as people attempt to cook or heat and light their homes without electricity. The reduction in or loss of water supply impairs fire-fighting capabilities, meaning that especially in towns with their high population densities, there is a risk of fires spreading through blocks of flats and even across entire districts. In Germany, the effects of a power blackout on the water infrastructure systems vary considerably from region to region. It can, however, be said that most of the drinking water and wastewater storage facilities in the networks and plants and also emergency power supply capacities are at most designed to bridge supply interruptions lasting just a few hours. Managing the direct and indirect consequences of a power blackout requires measures involving considerable effort/expense in terms of manpower, organisation, time and material. This includes supplying the public via emergency wells (5,200 in Germany) and the use of mobile toilet trailers. Other measures include maintaining the supply and disposal networks at low levels of operating performance by means of bridging measures and functional replacement of individual components and systems that depend on the power supply. In particular, this requires the use of mobile emergency power generators. These must be operated at alternating sites, e.g. at pump facilities in the sewage network or on electric pumps within the water supply network. As long as an emergency power supply is available, the water supply can be operated with a limited level of performance, restricted availability in the distribution network and/or reduced drinking water quality. Water potability can then be ensured by consumers, e.g. through the use of sterilisation products. Whether these measures are capable of coping with disasters over a prolonged period is doubtful, especially in view of the scarce emergency power generator capacities. Since water infrastructure systems are of paramount importance for supplying the population, there is a need to develop advanced safety concepts. The technical rules of the German Technical and Scientific Association for Gas and Water (DVGW) already contain numerous elements of the Water Safety Plan of the World Health Organisation (WHO). However, since there has been little emphasis on risk assessment in the field of water extraction, treatment, storage and distribution, analyses are required in order to make it possible to prioritise the measures that need to be developed. Existing vulnerability analyses reveal that the consequences of a prolonged power blackout for the water infrastructure have not yet been investigated on the basis of models. Models that consider the water infrastructure as part of a mesh of interacting infrastructures could prove particularly suitable. Findings could prove helpful when developing a preventive disaster management system. Vulnerability and resilience factors should be increasingly integrated into planning for future systems. For example, more intensive R&D work is already being conducted in the field of wastewater treatment plants with a view to increasing energy efficiency and the production of autonomous energy through the conversion of biogas into electricity at cogeneration power stations. Even with the current level of knowledge, it is conceivable that expanding this technology would make it possible to achieve a self-sufficient energy supply. Isolated network capability of local power generators could help improve the sector’s resilience following a power blackout. These systems should aim to enable the simple and safe transfer of sewage treatment plants to an autonomous operating status. As central elements of the infrastructure, water works should also work towards achieving energy self-sufficiency and isolated network capability. In the short-term, there is a need for improvements to non-system-based safety concepts. In the case of sewage treatment plants, for example, there are still considerable shortcomings in terms of fitting plants with systems for continuous power supply, in terms of emergency power generators and in terms of furnishing the plants with operating resources (e.g. diesel) for a prolonged period. The field of fire protection offers opportunities for reducing vulnerability – for example by developing and using new technologies that reduce water requirements through more effective use of fire-fighting water. The food sector covers the complex supply chain from raw materials production through to the purchase of finished products by the end consumer. A power blackout causes major disruption to the supply of foodstuffs; demand-based provision of foodstuffs and their distribution among the population become priority tasks for the authorities. Successfully managing the supply of foodstuffs is vital not only for ensuring the survival of large numbers of people but also for maintaining public order. Within the first few days, a lack of air conditioning and ventilation results in damage to the production of fruit and vegetables under glass, and to goods in storage. In animal husbandry, stall facility functions for maintaining the life and health of animals are initially ensured through (prescribed) emergency power generators. However, the loss of other stall and milking technologies has a detrimental effect on the animals’ well-being and in the case of dairy cattle can lead to udder infections and ultimately to death. As soon as the supply of fuel for emergency power generators is exhausted (generally after 24 hours), the animals start to suffer because it is impossible to supply them manually with food, water and fresh air. Most problems are encountered in looking after pigs and poultry kept in groups of several thousand animals. Under such conditions the animals often don’t even survive the first hours. The food processing sector often comes to an immediate standstill, thus interrupting supplies to retail warehouses. Although these warehouses keep extensive stocks of foodstuffs, these are mostly in the form of frozen/chilled products. Only a few warehouses are able to maintain the necessary emergency power supplies for longer than 2 days. This has a massive detrimental impact on the rate of goods turnover and thus on supplies to branch outlets. Shelves empty within a matter of a few days. The rationed release of stocks of the civil emergency reserve and of the federal reserve of grain is initiated on the basis of the Emergency Food Supply Act. Where possible, these stocks undergo further processing and are distributed via collective care centres. Transport capacities are made available on the basis of the Traffic Services Act (VerkLG). Measures are also put in place to step up interregional supplying of the affected region by the trade sector. Food handout centres are set up in selected retail food branches. These are equipped with emergency power generators and given consideration during the allocation of fuel. The relevant companies coordinate the required logistics in consultation with the authorities. Since most people are unable to prepare hot meals, large canteens are for example set up by the THW, the German Red Cross and the Federal Armed Forces, or hot meals are handed out. Despite best efforts, however, it is highly unlikely that it will be possible to ensure satisfactory extensive distribution of food supplies to meet requirements. Communicating information on stocks and demand between headquarters, warehouses and branches is made considerably more difficult because of the failure of telecommunications connections. Disaster management by the authorities suffers considerably from the lack of a uniform picture of the situation; this also significantly hampers interregional planning and coordination of measures. Key starting points for improving the sector’s resilience in terms of food supply include the regional central warehouses of retail trade operators and in some cases selected branches. These could be equipped with a reliable emergency power supply. If power supply points are available this would enable the use of mobile generators, although their use would have to be ensured over a long period. means of communication and emergency power generators. Isolated-network compatible decentralised power generators could also be considered for suitable locations. These would be included in a central database, which could be used by authorities and companies to coordinate deliveries in the event of a disaster. Almost all institutes involved in supplying medical and pharmaceutical products/ services to the population rely directly on the supply of electricity. Consequently, the health sector, which is organised on a decentralised basis and is heavily based on the division of labour, is only able to withstand the consequences of a power blackout for a short time. Within one week, the situation deteriorates to such an extent that even intensive deployment of regional relief capacities is unlikely to prevent an extensive collapse in the supply of medical and pharmaceutical products and services. After just 24 hours, there is a marked decline in the health sector’s ability to function. Hospitals can maintain only limited operations with the aid of emergency power generators; dialysis centres and old people’s homes and nursing homes must at least be partially cleared and functional areas have to be closed. Most doctors’ surgeries and pharmacies can’t continue operating without electricity and are shut. Drugs become increasingly scarce during the first week as the production and sale of pharmaceutical products in the area affected by the power blackout is no longer possible and stocks at hospitals and at any pharmacies that remain open become increasingly fragmentary. Perishable drugs, in particular, can only be obtained in hospitals, if at all. Bottlenecks in the supply of insulin, blood products and dialysis fluids have dramatic consequences. With its decentralised structure, after just a few days the sector finds itself unable to cope with autonomous management of the blackout’s consequences. Alongside increasing exhaustion of internal capacities, the efficiency of the health system is also reduced by the failure of other critical infrastructures. Shortages in the supply of, for example, water, foodstuffs, communication services and transport services exacerbate the problems in terms of the scope and quality of medical care. The emergency medical services can only be used to a limited degree for transport and evacuation missions. Many emergency calls by the public are unable to get through to them because of the damage to the communications infrastructure. Coordinating the deployment of the emergency forces also becomes considerably more difficult. The dwindling availability of fuel also presents problems. This has a huge detrimental impact on pre-clinical medical care. The care focussed in hospitals threatens to collapse. Initially, some hospitals can maintain a reduced level of operations and thus become central hubs for medical care. In most cases, they still have certain stocks of medications and sufficient staff and fuel. Medical staff involved in outpatient care support the work of the hospitals. However, this relatively good situation means that when other facilities (such as old people’s homes, nursing homes and dialysis centres) have to be evacuated, their patients are sent to hospitals, threatening the collapse of the capacities that still exist. Although hospitals’ emergency plans make provision for discharging as many patients as possible, the disastrous situation outside the hospitals means that at most, it is only possible to discharge patients who can look after themselves independently. Even initial assistance by the Federal Armed Forces within the framework of civil-military cooperation can at best provide only selective relief. A disaster would be likely by the end of the first week at the latest; this would entail damage to the health of or the death of very large numbers of people and would create a problem situation that could not be overcome using locally/regionally available resources and personnel capacities. Without the additional external input of medical goods, infrastructures and specialist personnel it becomes impossible to provide medico-pharmaceutical care. Hospitals play a key role as anchor points for medical care of the population. Although they do exhibit a certain level of resilience, this is not enough to compensate for the loss of all other facilities – especially decentralised outpatient care. Continuous replenishments of fuel must therefore be ensured for the existing emergency power generators that are mostly available. To a limited extent, this would require the storage of fuel on-site or agreements with suppliers (who would probably find it difficult to effect deliveries because of the general consequences associated with the power blackout). In principle, feed points for emergency power supplies need to be provided for when planning hospital buildings. Ultimately, hospitals should be defined as having priority entitlement for the allocation of fuel by the disaster control authorities. A more far-reaching approach is to ensure the highest possible level of energy self-sufficiency and isolated network capability; work on this has already started in many hospitals within the context of environmental protection efforts and measures to reduce energy consumption. Possibilities for treating water/transporting water from emergency wells to hospitals/emergency hospitals should be examined in greater depth to ensure the supply of drinking water to hospitals. Improved stocking of medical supplies could help increase resilience significantly. The inclusion of additional derogations in the Pharmaceuticals Act could also be considered to accommodate emergencies and disasters. The aim must be to ensure practical regulations for a prolonged disaster situation and to ensure supplies for the population. Finally, it would appear necessary to include manufacturers and wholesalers and also pharmacies in disaster management. This would require all the aforementioned players to take precautions to ensure the manufacture and distribution of supplies in the event of a prolonged power blackout. In this context, it is necessary to examine in which (legal) form this could be implemented. Individual sub-sectors of the financial services sector appear relatively resilient, even when faced with a widespread and prolonged power blackout. According to experts, the transmission of data and payments between banks, the clearing organisations and the stock exchanges, and also data management and also other critical business processes can be guaranteed for a long period through the use of emergency power supplies or can be outsourced to a region that is unaffected by the blackout. Even within the stock exchange system, the measures planned for disasters are sufficient, in technical, personnel and organisational terms, to ensure essential operations for the duration of the power blackout. The communication paths between the banks, clearing organisations and trading centres on the one hand and on the other hand the individuals and companies who demand financial services prove less robust. The failure of the telephone networks and of the Internet in the affected area means that after just a short time, it is no longer possible to process financial services. Many banks that remain open after the onset of the power blackout close after a few days. As cash dispensers have also stopped working, the supply of cash to the population threatens to collapse. It can be assumed that this and the failure of electronic payment facilities in businesses and banks will eventually lead to anger and to aggressive altercations as members of the public find themselves unable to effect payments. The lack of electronic payment facilities and the dwindling ability to supply cash to the population prove to be the Achilles heel within the sector. This increases uncertainty amongst the population. People become afraid they will no longer be able to buy food and obtain other daily requisites. Informing customers and appropriate communication of risks in consultation with the disaster control authorities thus assume increasing importance. The German Federal Bank must work with other organisations and emergency forces involved in civil protection to ensure at least a rudimentary supply of cash to the public. The banks need to be included in this process. A comprehensive organisational and logistics concept needs to be developed to ensure the delivery and issuing of cash. An enhanced security concept also needs to be developed as it is uncertain whether private security companies could sufficiently guarantee the delivery of high volumes of cash. Emergency power generators initially enable correctional facilities to maintain their principal operational functions. These mainly involve securing the prisoners and the provision of basic services (lighting, ventilation, heating). The first phase of the power blackout proves the most chaotic. A daytime power blackout is particularly problematic as large numbers of prisoners are not in their cells. All security elements, building services facilities, IT equipment and means of communication without an emergency power supply stop working. This makes it necessary to shut the prisoners in their cells on a long-term basis. Alongside the resulting psychological stress, prisoners also experience health problems due to deteriorating hygiene conditions, inadequate food supplies and a lack of heating. The staff at correctional facilities also experience increasing stress levels and over-tiredness. Added to this, traffic problems mean some staff arrive late or are unable to get to work at all. These factors combine to increase the overall risk of insubordination and unrest. Due to the effects of the blackout on other sectors, police forces and other support forces cannot be relied on to provide relief. Ensuring the supply of power through emergency power generators now assumes top priority. This is the only way to ensure (reduced) operations and adequate monitoring of the prisoners. Even if this succeeds, the situation becomes increasingly difficult to control – not least due to hygiene, medical and other supply problems. The situation is exacerbated if the number of detainees rises due to an increase in crime and arrests in the affected area. On-site fuel reserves at correctional facilities are probably only sufficient for a few days. The availability of mobile emergency power generators and the delivery of additional quantities of fuel are therefore imperative to ensure emergency power supplies. If emergency power supplies are jeopardised, transferring prisoners to other correctional facilities outside the affected area that have not reached their maximum occupancy rates is almost unavoidable. Even if emergency power supplies are functioning, a correctional facility’s ability to cope would be called into question after a few days due to security and health problems. Consequently, and due to the risk of escapes, a decision must be taken to evacuate the correctional facility and steps taken to initiate the process. This could trigger huge coordination problems because of the loss of fixed-network and mobile telephone systems. It is also doubtful whether it would be possible to call on sufficient and suitable transport capacities or indeed the necessary security personnel. It is not possible to identify explicit statutory regulations on emergency power supplies for correctional facilities. It was not possible to clarify with certainty whether relevant standards exist at the level of administrative regulations, based on the disaster control and assistance acts of the federal states. It is also uncertain whether a prolonged power blackout forms part of correctional facilities emergency plans or of alarm and emergency plans of the subordinate disaster control authorities and whether corresponding exercises are organised with the involvement of external support forces. There is a need for further information and legal clarification concerning situations where possible exceptional measures become necessary (e.g. non-acceptance of day-release prisoners or targeted release (prison leave) for certain groups of prisoners. The sector-based consequence analysis of a power blackout revealed the limited capacities for managing the consequences. Moreover, the significant interdependence of the sectors further reduces resilience and limits opportunities for the assistance system. This assessment is further substantiated below, and some cross-sector conclusions are provided. If the power supply fails, everyday activities are called into question and customary communication paths become largely unusable. The associated perils and uncertainties unsettle citizens and shatter their confidence in their ability to control their living conditions. This is compounded by the fact that those affected are unprepared when the power blackout strikes and by the uncertainty concerning the duration of the blackout. If supplies slow down, if there is a lack of information and if public order starts to collapse, individuals feel helpless and experience stress. Fear and uncertainty do not trigger uniform reactions in terms of human behaviour. On the contrary, a broad range of different, sometimes conflicting reactions is likely. Some individuals and groups abandon the established standards of community living. They become less considerate, more aggressive and more prone to violence. Willingness to help can wane. However, other responses may include cooperation, empathy and a willingness to help, with the people concerned feeling this helps them cope with the disaster. For the members of the aid agencies, the consequences of the power blackout include extreme stress and physical and psychological strain. A lack of resources and insufficient coordination at local level, combined with different organisational cultures can trigger inappropriate behaviour when people are faced with danger; it can also hamper efficient communication and cooperation between the emergency forces or incite conflicts among helpers. The behaviour of groups and individuals in a disaster situation has still not been researched in sufficient depth. There is, for example, a lack of analyses on how people behave in terms of protecting themselves, escaping and providing support and on the accumulation of stresses in prolonged situations of threat. At the same time there are, however, a number of largely dubious assumptions – especially concerning expected, largely antisocial, apathetic or panic-stricken behaviour by the public. Further clarification is therefore required on this aspect – specially regarding the possible ways in which the public can provide assistance in disaster situations. Using the example of a power blackout, differentiated research efforts could contribute to an analysis of human behaviour when people are faced with threats and also of misdemeanours and their respective causes; such issues have not been considered in any great depth in disaster research to date. Such studies should also consider the behaviour of helpers. There is also a need for information and research concerning communication and cooperation between organisations. More detailed socio-scientific and interdisciplinary analyses should be conducted to identify further factors that promote/inhibit communication. The consequences and chains of consequences triggered by the power blackout create a situation in which the lives, the physical integrity and the security of the population are threatened to a high level and in which major material damage occurs. A threat and damage situation develops requiring the mobilisation of interregional resources to enable the state to meet its duty of protection. Corresponding requirements have been created by the legislator and regulator at legal and administrative level. Elements of the Federal Armed Forces are mobilised within the context of civil-military cooperation. As well as providing personnel support (e.g. for the police, disaster control authorities or health establishments), this also makes material resources available. For example, hospitals and collection centres can be equipped with camp beds and tents, large canteens can be set up or Federal Armed Forces vehicles can be used for transport and evacuation measures. Certain (mainly public) operators can be granted preferential access to telecommunications and postal services on the basis of the Law Concerning the Transformation of the Deutsche Bundespost Enterprises into the Legal Structure of Stock Corporation (PTSG) and a corresponding statutory instrument by the Federal Ministry of Economics and Technology (BMWi). To safeguard food supplies, the Emergency Food Supply Act (EVG) permits recourse to the civil emergency reserve and the federal reserve of grain. Following declaration of a special emergency situation by the Federal Government, private companies can provide transport capacities under the Traffic Services Act (VerkLG) to support the area affected by the crisis. The Federal Office for Goods Transport makes these transport capacities available to the agencies requesting the assistance. To safeguard fuel supplies, the Federal Ministry of Economics and Technology (BMWi) can issue a statutory ordinance to release stocks on the basis of the Petroleum Stockholding Act. Fuel can be made available and distributed via the rail network using diesel-driven vehicles or by tankers. In combination with other state legislation and statutory instruments and official implementing provisions, the prerequisites for mobilising disaster management capacities even outside of the affected area have been established on a comprehensive and differentiated basis in order to ensure specific and cross-sector requirements are met. At the same time, this plethora of legal materials appears excessively complex with little evidence of coordination. For example, the legal bases for disaster management in the health sector are set down in at least eleven federal and state laws and ten statutory instruments/administrative regulations. This range of instruments must be used by the relevant players at the various levels in an objectively appropriate way, at the correct time and in a way that ensures all instruments are coordinated with each other. This is only possible if the crisis units have competent specialist personnel, if there is a common understanding of the regulations and if foresighted precautions are taken to ensure the laws and statutory instruments are applied to optimum effect. It would appear these requirements are not yet met. The task of ensuring well-coordinated emergency and crisis management is made even more complex because of the need to include relevant players from outside the authorities. Alongside the energy utility companies, these include numerous additional companies such as information and communications companies, the food industry or the security industry. The plurality and heterogeneity of these establishments complicate this task considerably. By way of example, the water sector has 5,200 organisations involved in the supply of water and 5,900 involved in water disposal, while the information technology and telecommunications sector has 3,000 service providers. Some of these operate on a local basis, others at interregional level and all have very different capabilities and capacities in terms of crisis management. Due to the plurality and heterogeneity of the possible security partners available to the authorities, it can be assumed that there is a need for further optimisation in recruiting private security partners at county and federal state level and in integrating them within crisis prevention and management. Modern information and communications technologies are virtually indispensable for generating a uniform picture of the situation and for coordinating the numerous regional and interregional crisis units and operations control centres. Following a power blackout, however, it becomes virtually impossible to access public communications infrastructures. Moreover, the available management capacities and the authorities’ own communications networks are not designed to withstand a prolonged power blackout. Public safety authorities and organisations (BOS) communicate via the closed BOS radio network. A nationwide digital radio network is to be established by 2012. However, in terms of dependence on the power supply, the modernisation of the BOS radio network will create greater vulnerability in the event of a power blackout. Whereas the analogue relay stations had an emergency power supply that could last for 4 to 8 hours, the base stations of the new system are only designed to allow battery-based bridging of 2 hours. The Federal Armed Forces use the digital TETRAPOL radio network, which enables mobile voice and data communication. This is not directly compatible with the digital BOS radio network. Since the Federal Armed Forces are unlikely to be deployed until after a few days, the BOS radio network will no longer be functioning by this time. The local crisis units would also have the option of resorting to mobile radio stations that are not dependent on the power supply network. The telecommunications companies and also the THW and the Federal Armed Forces have alternative network equipment that enables them to establish voice and data services and supply them via emergency generators. However, the emergency generator capacities of the THW, for example, are limited. They are primarily intended for communication by the crisis units and operations control centres. The capacities of the telecommunications companies are not known. Other possible options to be used in the event of a power blackout include the establishment of temporary field cable networks, assistance by amateur radio operators pursuant to Section 2  of the Law Concerning Amateur Radio Service and the use of satellite communication. Communication by means of field cables relies on mobile power generators, which have to be supplied with fuel after a short time. By contrast, amateur radio equipment has extremely low energy requirements. Satellite telephony and satellite-based Internet connection offer adequate transmission routes, provided the required terrestrial elements (e.g. the ground stations) have a power supply. The authorities are thus able to restore individual infrastructures on a selective basis. One option consists in supplying mobile communications base stations and the corresponding mobile services switching centre (MSC) with emergency power on at least an hourly basis. Provided a connecting chain can be established via additional MSCs, it is possible to establish connections between users within range and also in the area not affected by the power blackout. However, it is doubtful whether it would be possible to ensure a prolonged power supply or to network with other MSCs within and outside the area affected by the power blackout. It can therefore be assumed that despite determined efforts to restore communications infrastructures, it is not possible to establish a uniform picture of the situation. Feasible technical options tend to be of a short range and duration; supply proves problematic and forces and measures can only be coordinated to an unsatisfactory degree. Disaster management by the authorities thus continues to reveal major shortcomings. Due to the failures in the information technology and telecommunications sector, dialogue-based crisis communication with the public becomes largely impossible. Since the rudimentary remaining or restored communications capabilities can only be used by the authorities for direct rectification of damage and disaster control, communication with the public is mainly reliant on local battery-based warning systems, radio announcements and sound trucks. Since radio broadcasters are also suited to broadcasting warning messages and information via the Federal Government’s satellite-based warning system (SatWaS), the authorities endeavour to supply selected broadcasting stations with emergency power to ensure a means of communication during the crisis. Experience has shown that established reception centres such as mayor’s offices, fire stations or church halls can become hubs for the dissemination of information. Tannoy announcements by emergency vehicles or patrols by the emergency forces offer further ways of meeting the public’s need for information. It is, however, clear that such fragmented (one-way) communication cannot meet requirements in terms of continuous, target-group-oriented crisis communication. If mains-based communication fails as extensively as described above, it will be extremely difficult to convey credibility and create trust. Since it is still largely unclear how such crisis communication could be established without electricity, there is a need for studies to examine concepts and practicality. Emergency power generators to enable sensitive infrastructure components (e.g. emergency control centres, fire stations, mobile radio stations) to continue working. In principle and despite the unfavourable underlying conditions (including in particular the loss of petrol stations), the existing management capacities in the form of fuel stocks offer the necessary prerequisites for ensuring the mobility required by the players involved in disaster management. For example, the petroleum stocks prescribed by law mean significant reserves of fuel are available that could cover requirements even during a prolonged power blackout. Since petrol and diesel are mainly stored in above-ground tank facilities, the tankers or tank wagons can be filled using the principle of gravity if electricity is not available. Despite this potential there are question marks over the extent to which these capacities and resources can be mobilised and used in the event of a power blackout. For example, due to the damage to traffic infrastructures, it will not be possible to deploy transport vehicles quickly or in sufficient quantities in order to prevent fuel bottlenecks, especially in urban centres. Coordinating the distribution of fuel deliveries in line with requirements is an extremely complex task, even if it is possible to mobilise sufficient tankers of petroleum companies and logistics service providers under the Traffic Services Act (VerkLG). Since a large area is involved, problems are likely to be encountered in agreeing responsibilities, and logistics challenges will also arise. Problems are compounded by the lack of communications opportunities, meaning many places receive inadequate supplies or no supplies at all. Overall, it is clear that extensive measures are in place to guarantee transport services in order to supply fuel in the event of a crisis. However, the specific conditions of a power blackout mean that prompt, well-coordinated mobilisation and distribution of fuel reserves becomes a critical factor in managing the consequences of a blackout. One means of increasing the sector’s resilience is to improve the resources available directly at local level. For example, measures could be taken to equip selected petrol stations with emergency power generators and to supply them with fuel on a continuous basis. Assuming such petrol stations were made available to the authorities and the relief organisations on a priority basis, the time pressures associated with delivering fuel reserves would be reduced and the mobility of the emergency forces and their ability to intervene would be guaranteed for a certain time. In order to ensure continuous operation of emergency generators, it would at the same time be necessary to replenish selected relevant security-critical locations with the necessary fuel in time. The resilience of numerous infrastructure elements is limited by the low battery and fuel capacities of uninterruptible and off-grid stand-alone power supply systems. However, given the huge requirements and increasing competition for fuel, even nationwide expansion of stationary and mobile emergency power generation capacities would at most achieve selective, temporary improved resilience of critical infrastructures. Concepts involving the development of isolated networks therefore appear to offer better prospects for achieving a sustained improvement in the resilience of (emergency) power supplies. By using local networked power generators, regionally restricted isolated networks could continue to generate power after a power blackout. Even the selective development and expansion of isolated networks that was limited to public institutions that play a key role in disaster control could improve the resilience of the power supply and therefore the resilience of critical infrastructures. A model project to investigate technical and economic feasibility is therefore proposed. A significant deficit exists in terms of the public’s awareness and attitude. People do not consider the power supply as a critical infrastructure to be an important issue; they ignore the possibility of power blackouts and the consequences of an interruption to the power supply. People are generally quick to forget power blackouts when they do occur. Disasters such as power blackouts are usually associated with extreme weather events and terrorism. Since natural events are perceived as unavoidable and terrorism is viewed with a certain fatalism, people believe that as individuals, they can’t take precautions against what are assumed to be exclusive causes. Consequently, the public takes no noticeable steps to prepare for a power blackout and people are therefore unable to cope adequately with the consequences. In view of the meagre level of awareness concerning the risk of and threats associated with a power blackout, there is a need to consider how information and advice could be used to awaken and maintain the public’s interest, thus making it possible to address citizens in an appropriate way in crisis situations. In this context, the first step would be to elaborate a scientifically based strategy for communicating risk to the public before a power blackout. In doing so, citizens should not be considered as passive disaster victims, but as capable players who can assume an active role. The consequence analyses have revealed that even after a few days, it is no longer possible to guarantee area-wide supplies of vital/necessary goods and services to meet with the public’s requirements within the region affected by the blackout. Public safety is jeopardised; the state can no longer meet its duty of protection, as anchored in the Basic Law, to protect the life and limb of its citizens. Although the probability of a prolonged power blackout affecting several federal states may be low, if such an incident did occur, the resulting consequences would be tantamount to a national disaster. Even if all internal and external forces and resources were mobilised, the situation would not be controllable and could at most only be mitigated. Further efforts are therefore necessary at all levels in order to increase the resilience of critical infrastructure sectors in both the short and medium-term and to further optimise the capacities of the national system for disaster control. The responsible parties within politics and society should therefore continue to accord high priority to a power blackout scenario as a prime example of cascading damaging effects, not least in order to also raise awareness of the issue in industry and among the public. This TAB report aims to make a contribution towards this. Q: How long does it take to finalise a report about a single lightning strike? A: Until everyone has forgotten that the final report is missing over four months after the event? Perhaps Bon’s rough understanding is only the first half of the story? The second half could well be a cascade trip and, if that were true, the cause of the double circuit trip and resulting blackout would be human. Q: Time for AEMO to state its management policy on loading up double circuit grid towers, so that a trip of the first circuit guarantees a trip of the second? This is all hysterical fear mongering the human race survived up until the 19th century without electricity and with the fools now running Australia and the rest of the western world people will have to do it again soon.Supplying all the needs to sustain life similar to back in the 14th century will again be the norm. What a waste all the money spent on education has been. I hope this energy policy stuff doesn’t lead to violence. A few nice, sunny days, good waves and warm temperatures will distract the greenies for a few weeks perhaps and take away their motivation to cause trouble. The Greenies enjoy a cult “religion,” and would be, like other cults, best ignored. That is what politicians (if not corrupt) need to recognise, so advise your MP, having asked his/her view! My City was hit by a big storm recently, my power was out for three days, some people’s for a week. We had a boil water warning in place. Luckily it was short, but it could easily have been much worse. Anyone who recommends policies that endanger the grid has rocks in their head as far as I’m concerned, and needs to go live in a country without reliable energy until they learn better. It never ceases to amaze me how low the zealots will go in their efforts to promote renewables. With the background of a crippling drought the zealots are cherry picking either farmers with turbines or those in charge of farming lobby groups such as the National farmers association as fellow believers in climate change and the need for action. The classic Scottish comedy ‘Still Game’ portrays some of the more serious issues that can happen during a blackout in this episode titled ‘Lights Out’. The program was produced by The BBC Comedy Unit and has been posted online by ‘scotzgeezer’. Your experiences of blackouts will likely lead to criminal prosecutions for fatal mishaps from negligence on the part of those in charge. What price the “FIGHT GLOBAL WARMING” lies then? We in Scotland are likely headed the same way unless mad power policies are changed. “Renewables,” wind or water powered are the second worse scam since the World Wars.